Reverse Osmosis (RO) technology goes beyond the abilities of typical water filtration by using a semipermeable membrane to remove impurities from water. Reverse Osmosis water filtration provides a low-maintenance, chemical-free option to help achieve clean, great-tasting water each and every day. Our large selection of reverse osmosis systems will ensure the right RO system for your home or business.  Learn more about benefits of reverse osmosis systems.